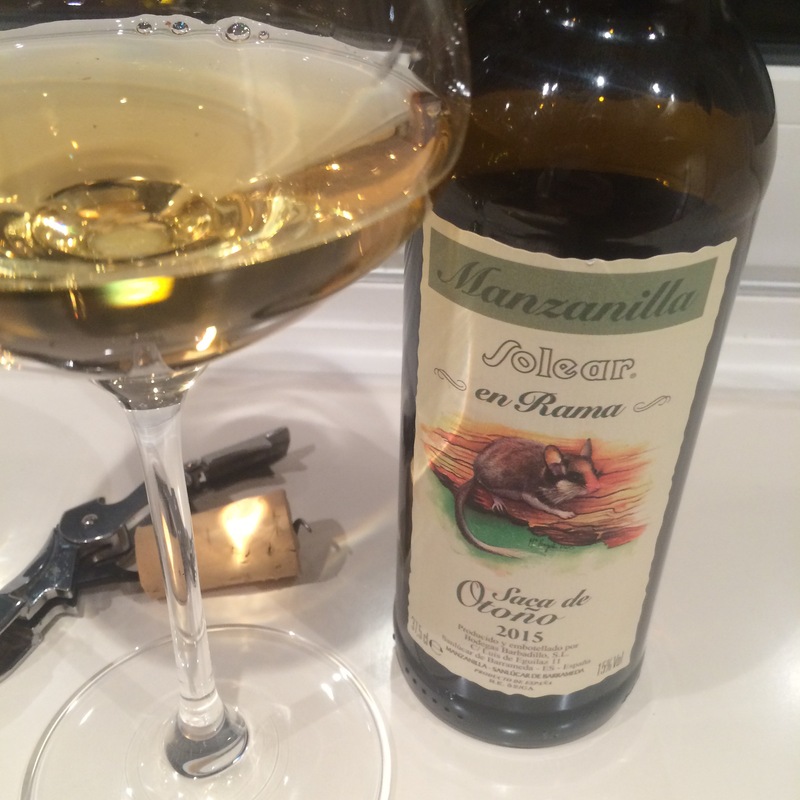 Manzanilla monday and the rat’s days are numbered. This looks, smells and feels richer and more potent than other sacas I have tasted recently. The colour is slightly dark old gold – certainly half a shade darker than I remember. On the nose there is a lot of yeast – big salty hay bales – very aromatic, with a suggestion of sweeter herbs. The mouthfeel is fatty and lush as always, and on the palate it is just as rich as it looks and smells – massive herbal, vegetable flavours and salinity and maybe just a little bit bitter as it fades away. Really juicy rather than zingy but a powerful mouthfull either way. Fantastic, the week is now under weigh and I need to get some more of these little rodents.